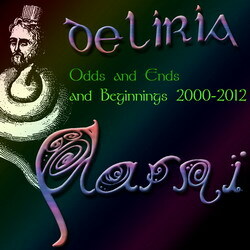 • 'Deliria - Odds and Ends and Beginnings 2000-2012' contains 32 tracks, some of which have hitherto been only unoffically released, and the rest never before released anywhere...it features 5 (or 6) full songs as well as loads of shorter tracks consisting of studio outtakes, recorded riff ideas (most of which remain unused to date in Aarni releases), demo takes and a few jam session snippets. These have been included as curiosities and sneak peeks into the Aarni songwriting process. They will possibly give bittersweet eargasms to those individuals inordinately interested in the band and lo-fi sound in general...such people will no doubt also enjoy the fact that when Aarni in the throes of inspiration captured these snippets on a recording device, only a single take was ever made. So all those tasty playing mistakes and candylike out-of-tune notes can frequently be savoured by the drooling listener! Obviously no mixing or mastering evident. Thou canst download the full(er) songs individually if thou wilt, but the short tracks only come with a complete album purchase - as do a couple of bonus items: an old Aarni flyer and a fortunately never used "promo photo" of M.W. from 2000 e.v. Perhaps interestingly, most of the riff/melody idea tracks, both the ones used and unused in released Aarni material, date from the year of Their Lord 2000. Thou canst listen and find out which of them made it years later to the two Aarni demos, the Split CD with Umbra Nihil, 'Bathos', 'Tohcoth' and 'Omnimantia' EP. Some of the remaining ideas will perhaps be used in the future while others will certainly not be. Anyway, these recorded musical gems represent a rarity, as usually Aarni band members prefer to conserve the fruits of their creativity by the old-fashioned way i.e. writing the stuff down on notation paper. • Released through Witch Sermon Productions © 2012 ev (SERMON014). • Aarni takes responsibility for the first five songs and Persistence In Mourning for the rest. • Vocals on track no. 3 by Genius Albert Frankenstein. • Aarni's half feverishly recorded and mixed at Doominvalley Studios. • Album mastered by M.·.W.·. at the same. Order the Split CD from the band for 11 € (incl. shipping inside the Europa Fort). 13 € for the rest of this Sphere. • Self-released in November 2008 ev. Remixed and remastered in 2010 ev. • The first four songs comprise new studio recordings while the last three represent different masterings of tracks appearing on various tribute albums. Join the war against the loudness war! Meaning that thou mightest want to crank up the volume of thy player, because we have applied only light compression at the mastering stage to preserve natural sound and dynamics. • We call Omnimantia an EP because it clocks under 60 minutes...every copy features unique liner doodles by the Dishonourable M.Warjomaa, who also accepts thy requests as to their content. In other words, every copy will be different. Pimp my EP! • "Untitled" represents Aarni's take on Skepticism with lyrics from the German edition of the Principia Discordia. • 'Verivaikerrus / Hurmehanki' covers Thergothon's 'Crying Blood / Crimson Snow' rendered unto Finnish. 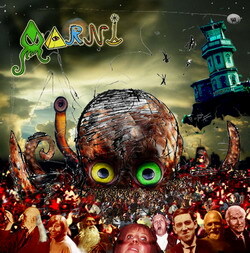 • 'Lovecraft Knew' remains an original Aarni song, yet to be released on a Cthulhoid tribute album. 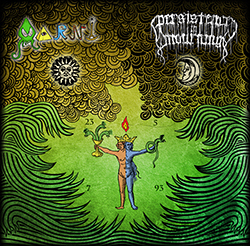 • Psychotically recorded, mixed and mastered at Doominvalley Studios by Aarni. 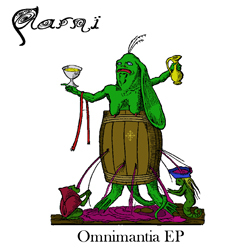 Order the Omnimantia CDR from the band for 8 € (incl. shipping inside the Europa Fort!). 9 € for the rest of the planet. • Tohcoth [to:koþ]= "This name comprehendeth the number of all the fayries, who are diuels next to the state and condition of man" -Dr John Dee. • Released through Epidemie Records on February 19th 2008 ev. (EPR063). • Album dedicated inter alia to the late great Robert Anton Wilson. • 'The Battle Hymn of the Eristocracy' represents Aarni's take on the notorious Discordian anthem from the cult book Principia Discordia. • Features guest vocals by the Finnish media personality Sampo Marjomaa. Well...so does 'Bathos'. • Fondly recorded and mixed at Doominvalley Studios by Aarni. • Lovingly mastered by Tuomas M. Mäkelä at Kajekammio. • Bathos [ba:tos]= insincere or overdone pathos; sentimentality; anticlimax. • Released through Firebox Records' sub-label FireDoom Music in 17.11.2004 ev (FDOOM001). Remastered digital version (including album artwork as hi-res jpg image files) released in 9.5.2010 ev. • Recorded and mixed at Doominvalley Studios by Aarni, mastered in Soundmix Studio by Mika Pohjola. • The band have sold out their physical copies, so get thine as a digital remaster from the link below. Lyrics :: Reviews :: Buy as a remastered digital album! • Released through Firebox Records © 2002 ev (Firecd001). 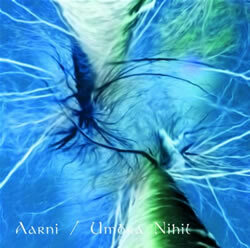 • Aarni takes responsibility for the first six songs and Umbra Nihil for the remaining five. • 'Myrrys', 'Transcend Humanity' & 'Reaching Azathoth' were remastered for the Split after originally appearing on "Duuminpeikon paluu". • All Umbra Nihil tracks have been partially re-recorded and completely remastered from those that first appeared on their 'Enough, Or Too Much' demo. • Some copies of the split contain a misprint in the track listing ('Transcend Humanity' and 'Liber Umbrarum vel Coniunctio' appear in the wrong order), the correct track listing can be seen on the left. • The Split CD has been sold out and will not be re-pressed in the foreseeable future. Thou canst however get it as a remastered CD-R with the original album covers for 6 € (incl. shipping!). • Combines the remastered (Summer 2008 ev) 'Demo 2001' and 'Duumipeikon Paluu Demo 2002'. 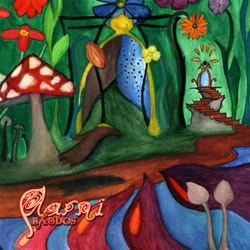 Recorded at Doominvalley Studio in Oulu, Finland. • 'Persona Mortuae Cutis' covers Slayer's song 'Dead Skin Mask'. 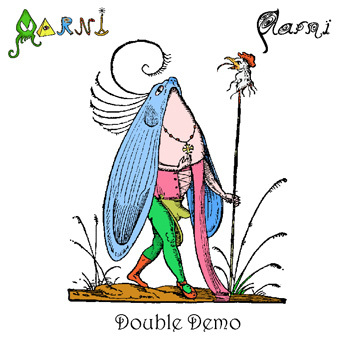 Order the Double Demo CDR from the band for 6 € (incl. shipping! ).